Take the right turn after the mango tree. Then after the waakye seller, you’ll see a yellow storey building. Take the second left turn after that and ask the blind beggar, he’ll show you the way. 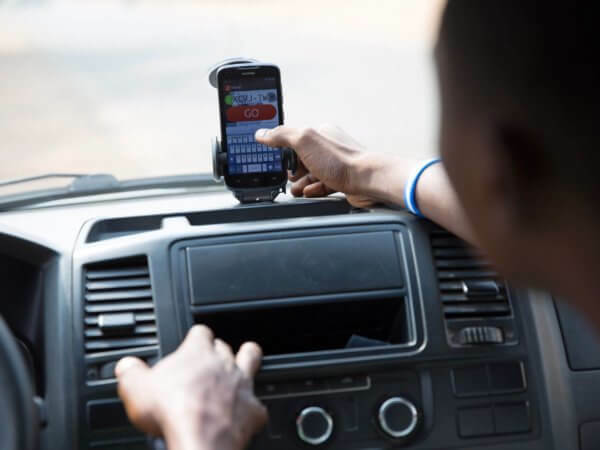 Like most developing countries, Ghana has an addressing problem. There have been efforts by the government to fix this in the past with very limited results. That’s why the folks over at tinyDAVID have developed a not so tiny solution; SnooCODE. What is SnooCODE? Well, it is a mobile application that allows users to generate unique 6 alphanumeric codes (called Snoocodes) that accurately represent real-world locations. This serves as your digital address. This digital address can then be shared with other users to give them directions to the location. Developed to be as inclusive as possible, the app is lightweight and runs on both Android and iOS. 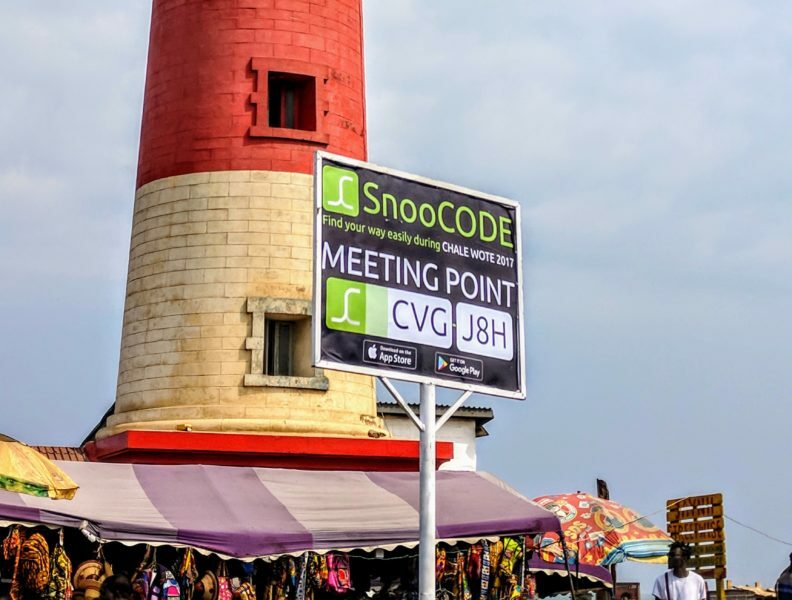 A SnooCODE can be generated even when you’re offline or your data connection is spotty. That really comes in handy in rural areas where an internet connection is not always assured. Allow me clarify here that SnooCODE works in conjunction with the existing map applications (Apple Maps, Openstreetmap, Google Maps etc). When you receive a SnooCODE and open it, the SnooCODE app gets the location from the digital address and those coordinates are transferred to your default map app where the location is displayed. SnooCODE itself is not a map app. Apart from providing digital addresses, the app also incorporates a couple of other useful features. Address Book: When you generate a code, you can save it in the in-app address book, as either a public or private code. This can then be used in the future. Plot Route: Selecting this option plots a route between the user’s current location and the SnooCODE location. Both location coordinates are sent to the user’s mapping application of choice and the route is plotted. Taxi Fare: Pretty useful for when you’re going to an unfamiliar place. SnooCODEgives you a fair estimate of the taxi fare so you don’t get cheated. Beyond this, SnooCODE solves a number of problems created by the absence of a widespread addressing system. I recently opened a bank account and during the registration process, I was asked to draw directions to my house. Can you believe that? In 2017. Draw a map. With an X to mark the spot. With almost everyone with a smartphone (or two) in their pocket? Well, since I didn’t have a street address, I had no option than to draw the map to my house. With SnooCODE, all I would have had to do is provide the bank with the 6 character code and that would be it. Come to think of it, I wonder how they store the maps customers have drawn in their databases? Another sector where SnooCODE makes lives easier is with emergency services. When provided with your SnooCODE, the Police, Fire and Ambulance services can easily navigate their way to you when you’re in need. 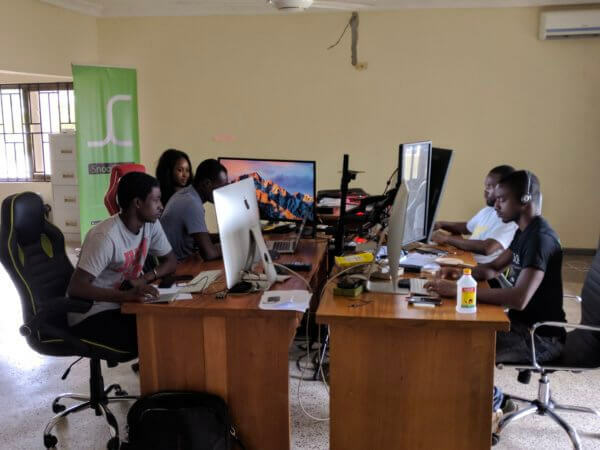 To this end, SnooCODE has recently partnered with the National Ambulance Service and the Vodafone Foundation. This new service is called SnooCODE RED. Emergency Medical Technicians (EMTs) have been provided with mobile devices and trained to locate victims using SnooCODE. At the moment, the program is running in Accra and Kumasi but there are plans to roll it out to the other major cities later this year. What about people who don’t have smartphones? Well, the best part of SnoocCODE is it’s simplicity. If you don’t have a smartphone, you can borrow a smartphone from a neighbour or a relative to generate a SnooCODE for your home. Since it’s only 6 characters, it’s easy to memorize or can even be written down for future reference. 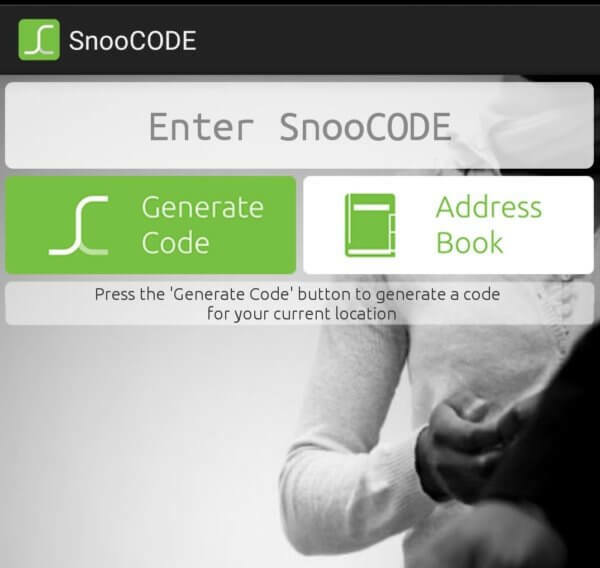 SnooCODE even provides address stickers that can be conveniently displayed. 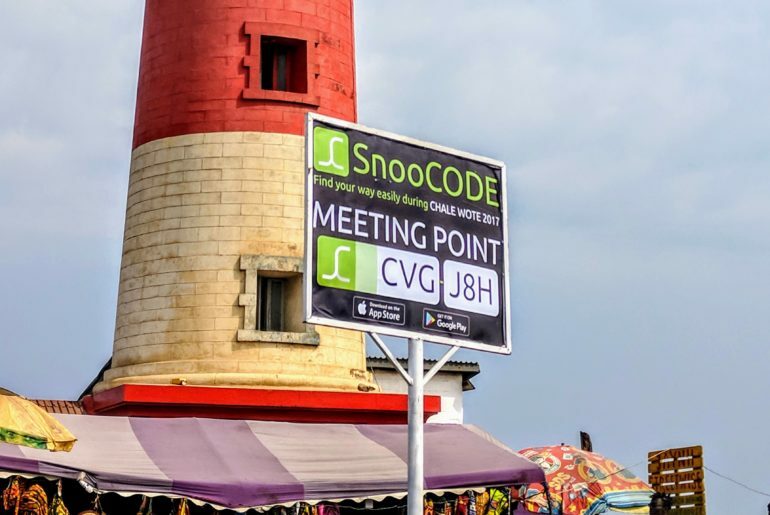 At the recent Chale Wote 2017 Street Art Festival for instance, SnooCODE generated codes for convenient meeting points. This allowed revelers to easily meetup with their friends in the crowded streets of Jamestown. All they had to do was share the code with their friends who could then plot a route to the meet up point. SnooCODE currently has about 15,000 downloads in total for both the Google Play Store and the Apple App Store. With the app’s soft launch for the rest of Africa back in July, we can expect an even higher adoption rate in the coming months. Mohammed-Hanif Abdulai is a young Ghanaian who dabbles in media and technology. He is Circumspecte’s contributing technology writer. / Photos by Mohammed-Hanif Abdulai unless otherwise noted.